In order to reduce the speed of the dust particles, so that they can no longer float around, it is necessary to make them heavier. 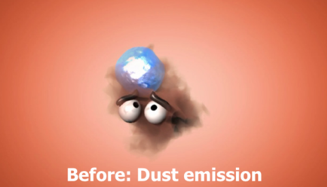 The easiest way of making the dust particles heavier is to make them wet. We achieve this by adding a wetting agent to the water that is sprayed, atomized or sprinkled. 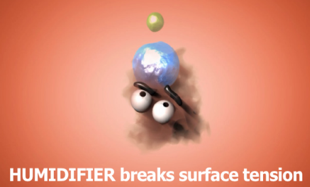 Adding a tension-active substance is really the only solution to make water absorb dust. The advantage is that the amount of water can be reduced significantly and material moisture levels can be reduced. 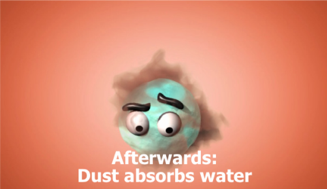 The dust becomes wet more quickly and remains wet for a longer period.